Friedrich von Hügel was born in Florence, Italy, in 1852, to Charles von Hügel, who was serving as Austrian ambassador to the Grand Duchy of Tuscany, and a Scottish mother, Elizabeth Farquharson, who was a convert to Roman Catholicism. Friedrich was educated privately, and moved with his family to England in 1867 when he was fifteen, where he remained for the rest of his life. It has been suggested that Count Felix Sumarokov-Elston, an ataman of the Kuban Cossacks, was his elder brother; but as the Count was born in 1820 this is impossible, and the Count is more likely to have been his uncle, the son of von Hügel's father. In 1873 he married Lady Mary Catherine Herbert (1849–1935), daughter of the statesman Sidney Herbert, 1st Baron Herbert of Lea, by Elizabeth Ash à Court-Repington, an ardent convert to Catholicism and philanthropist. Mary, like von Hügel's mother and her own, was also a convert. The couple had three daughters: Gertrude (1877–1915), Hildegarde (1879–1926), and Thekla (1886–1970), who became a Carmelite nun. He remained an Austrian citizen until he found himself to be a "hostile alien" after England declared war with Austria in August 1914. He applied for naturalization and received it in December of the same year. 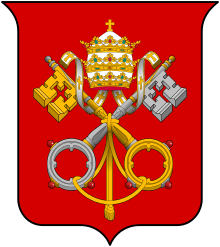 He was a Baron of the Holy Roman Empire (an inherited title), and a frequent visitor to Rome. A self-taught biblical scholar, a linguist with a fluency in French, German and Italian as well as his adopted English, and a master of many subjects, he never held office in the Catholic Church, or an academic post, nor did he ever earn a university degree. However, he is often mentioned alongside John Henry Newman as one of the most influential Catholic thinkers of his day. The scope of his learning was impressive and the list of his correspondents reads like a "who's who" of nineteenth- and early twentieth-century European religious leadership (for example, Louis Duchesne, Alfred Loisy, Germain Morin, Maurice Blondel, Henri Brémond, John Henry Newman, William George Ward, Wilfrid Philip Ward, Lord Halifax, Cuthbert Butler, Claude Montefiore, George Tyrrell, Maude Petre, Evelyn Underhill, Antonio Fogazzaro, Ernesto Buonaiuti, Rudolf Christoph Eucken, Hans Vaihinger and Ernst Troeltsch). In Italy von Hügel frequently met two future popes, Achille Ratti and Eugenio Pacelli, later Pius XI and Pius XII. In Milan in 1901 Ratti helped him in his research at the Ambrosiana for The Mystical Element of Religion. 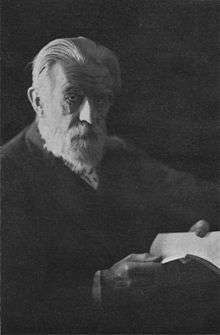 Von Hügel did much to bring the work of the philosophers Eucken and Troeltsch to the attention of the English-speaking public, despite the hostility during and after the First World War to all things German. Baron von Hügel was deeply engaged in theological discussions with a wide group of scholars associated with the turn-of-the-century Modernist controversy. His scholarly concerns included the relationship of Christianity to history, ecumenism, mysticism, the philosophy of religion, and the rejection of much of the immanentism in nineteenth-century theology. Under Pope Pius X, prompted by conservatives such as Cardinal Rafael Merry del Val, there was a backlash against many of the Modernist thinkers, and von Hügel attempted to negotiate a middle way of restraint, while remaining true to the principles of intellectual rigour and free enquiry. When the University of Oxford granted him an honorary Doctor of Divinity degree in 1920, it was the first time since the Reformation that a Roman Catholic had been so honored by that university. The University of St. Andrews, where the von Hügel archives are now located, had awarded him an honorary degree in 1914. Von Hügel died in 1925. He was buried, beside his mother and sister, with the Benedictines of Downside, beside the abbey. His tombstone in an English country churchyard bears the simple inscription: "Whom have I in heaven but Thee?" Von Hügel's "three elements" are his most enduring contribution to theological thinking. The human soul, the movements of western civilization, and the phenomena of religion itself he characterized by these three elements: the historical/institutional element, the intellectual/speculative element, and the mystical/experiential element. This typology provided for him an understanding of the balance, tension, and 'friction' that exists in religious thinking and in the complexity of reality and existence. While this typology occasionally digressed into a forced Trinitarianism, it is an organizing paradigm that remained central to his project. The effort to hold these sometimes disparate dimensions together is structurally and theologically dominant throughout his writing. His friend George Tyrrell observed, "All life, according to [von Hügel] consists in a patient struggle with irreconcilables—a progressive unifying of parts that will never fit perfectly." What seems most welcome in the tomb — play a predestined part. The Von Hügel Institute, a research center for the study of Christianity and society at St. Edmund's College, the University of Cambridge, was founded in 1987, and is named in honour of Friedrich's brother, Anatole von Hügel, the first director of the Museum of Archaeology and Anthropology at Cambridge. The Reality of God and Religion and Agnosticism (1931). This last book contains two works that von Hügel left unfinished at his death: The Reality of God, which was to have been the Gifford Lectures of 1924-1925 and 1925-1926 at Edinburgh University, and Religion and Agnosticism, a study of the religious opinions and writings of Sir Alfred Comyn Lyall which was begun in 1912 and laid aside in 1915 (though retouched here and there later). ↑ de la Bedoyère (1951), p. 15. ↑ Долли Фикельмон. Дневник 1829–1837. Весь пушкинский Петербург / Публикация и комментарии С. Мрочковской–Балашовой — М.: Минувшее, 2009. — 1008 с. — 3000 экз, ISBN 978-5-902073-66-6 Check date values in: |date= (help). ↑ "Roman Catholic Modernist Movement", Manuscripts, UK: St Andrews University Library Special Collections . ↑ Tyrell, George (1909). "Mysticism in Religion". The Hibbert Journal. 7 (3): 687–9. ↑ The Von Hügel Institute, UK: St Edmund’s . de la Bedoyère, Michael (1951), The Life of Baron von Hügel, London: J. M. Dent & Sons . Maasdorp, Michael. "Baron Friedrich von Hugel (1852-1925)". Radical Faith. Jowett, Nick (November 15, 2008). "Face to faith: Von Hügel's writings help us to see why today's church is full of intellectuals and simpletons, says Nick Jowett". The Guardian.